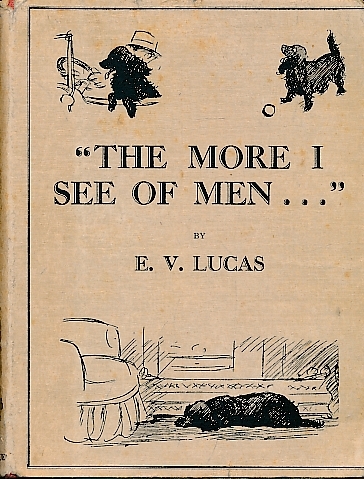 Barter Books : Lucas, Edward Verrall : "The More I See of Men..." Stray Essays on Dogs. London. : Methuen & Co Ltd.
170 x 130 mm (7 x 5 inches) - 129pp +ads. Grey hardback cloth cover with red cloth strip and title-plate. G: in Good condition with rubbed and chipped dust jacket. Prelims foxed. Previous owner inscription to fep. "The more, " said one, "of men I see, The more do dogs appeal to me"